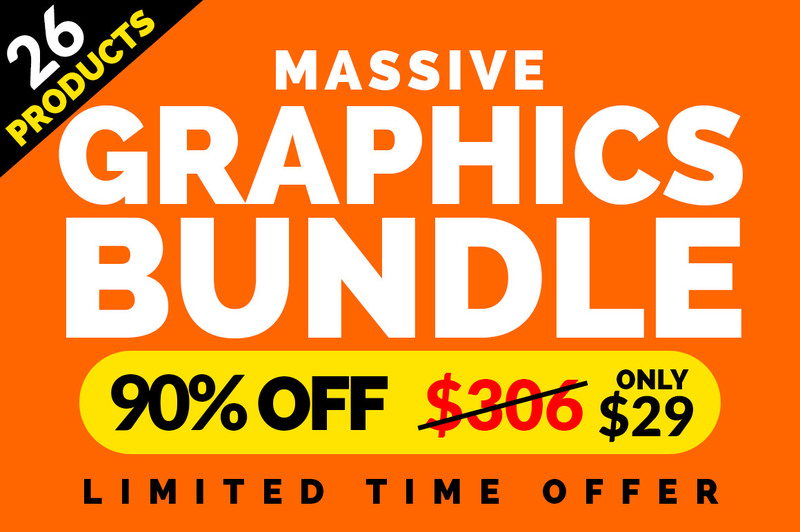 Get 90% discount on GraphicsFuel’s Mega Bundle that includes tons of graphic elements . The bundle contains 26 bestseller products from our Shop. The total regular cost of these products is $306 but you can get all of them for just $29. 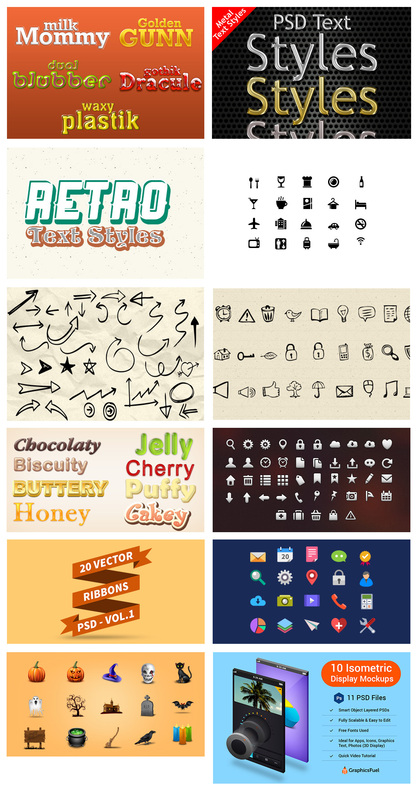 In this bundle you’ll get icons, mockups, text effects, textures, hand-drawn items, backgrounds, vector kit, etc. See below for details and also see the screenshots. Here are the products that’s including in the bundle. Please feel free to ask me if you’ve any questions. Take a second to share this page.